In a wide-ranging, free-form chat on Tuesday night in San Francisco at the 2018 Fog World Congress, legendary computing figure Steve Wozniak discussed the future of technology and its role in making the world a better place. Taking the stage alongside the senior director of Cisco’s corporate strategic innovation group, Helder Antunes, Wozniak took the audience through his personal history with technology, from phone hacking in the late 1970s, through his up-and-down relationship with Steve Jobs and Apple, to his current role as a sort of ambassador for the good that technology can do for the world. 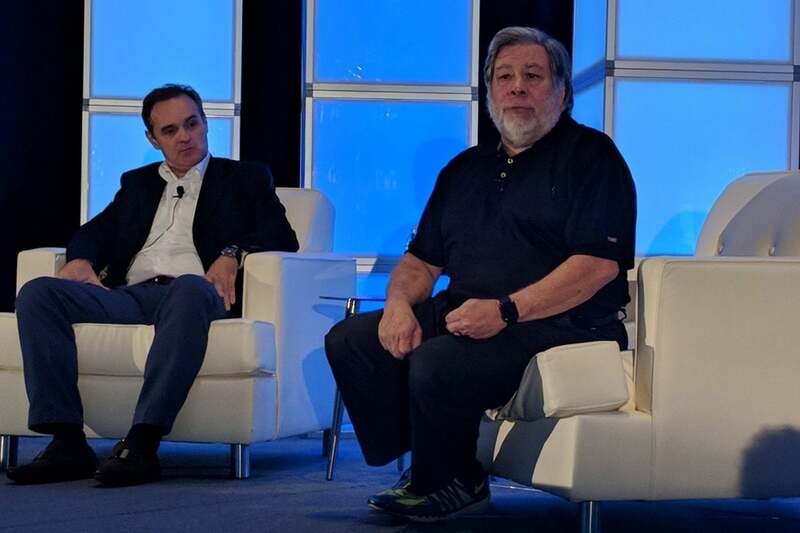 Despite the burgeoning hype around newly decentralized computing technologies like edge and fog, Wozniak said that these true paradigm shifts don’t happen overnight – and they don’t happen without a lot of failure along the way. Wozniak argued for a degree of caution in the deployment of new technologies, however. Saying that the urge to implement the latest and greatest tech is a powerful one, he stated that security often gets treated as an afterthought, something to be added after a technology is already out there. Wozniak didn’t comment any further on allegations made against his Woz-U coding classes. CBS News recently published allegations that the company’s $13,200 flagship product (a 33-week online course) didn’t live up to expectations – everything from pre-recorded, out-of-date lectures instead of the live ones that were advertised, typo-ridden content, and unqualified instructors to deceptive, high-pressure sales tactics were described by former students and staff. A follow-up email to Wozniak’s handlers didn’t receive a response by the time this article was published. Update: Woz-U issued a statement on this topic after publication. It can be found here.